Cooking with fresh fruit and veg is one of the greatest gifts you can give your family and we are here to help you with this! Pheasants Nest Produce is a family owned and operated business based in Pheasants Nest, a small village in the Wollondilly Shire of New South Wales, Australia. Pheasants Nest Produce sources locally grown fruit and veg, combined with produce procured from Sydney Market and delivers it to homes and businesses in the Wollondilly, Macarther and Southern Highland areas. Our emphasis is to use much locally grown produce and as many locally produced products as we can, therefore developing a strong local supplier network. We are passionate about educating people on using seasonal produce as this is such an important part of keeping our farmers producing the best quality they can at the right time of the year. The big problem now is that consumers are confused about what is in season as the supermarkets offer a similar range of produce all year round. 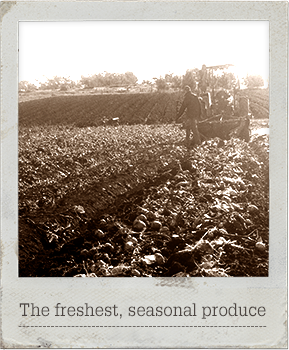 We only supply you with what is good at that time of year so our produce is the best it can be. Jamie and Lee have had many years’ experience in Hospitality, owning and running restaurants and supplying fresh produce to the public. James McDonald has a background in retail and wholesale having been in the industry for the last 28 years. 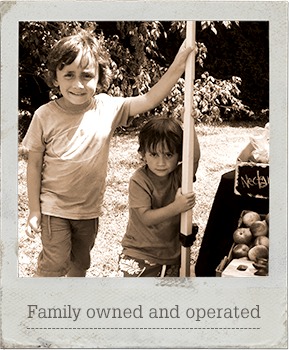 He has started up companies such as Greengrocer.com.au and Fratelli Fresh. Lee Hokianga is a chef by trade and was last involved in the industry as the Head Chef of MG Garage Restaurant, a Sydney Morning Herald 3 Hat Restaurant, and Sydney’s Best New restaurant in its first year.